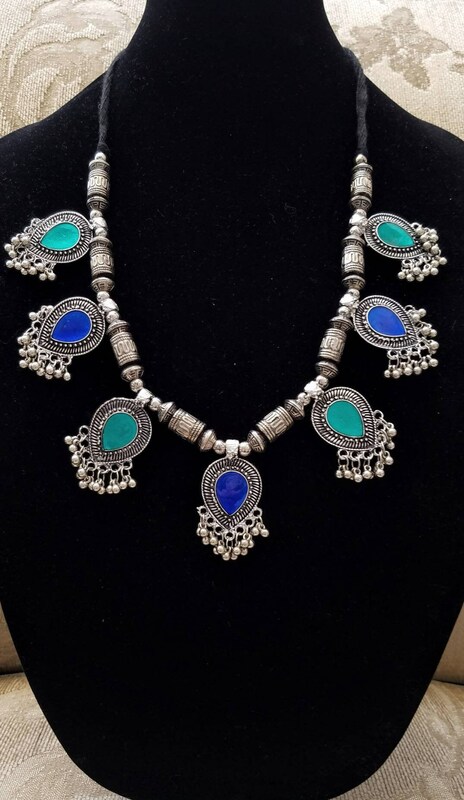 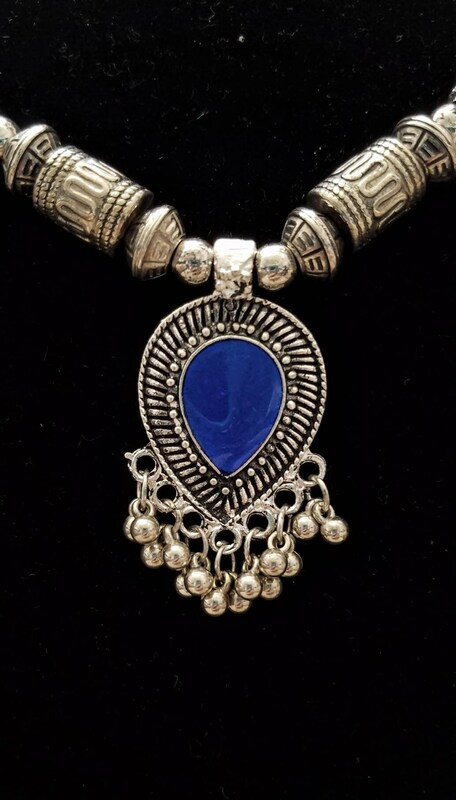 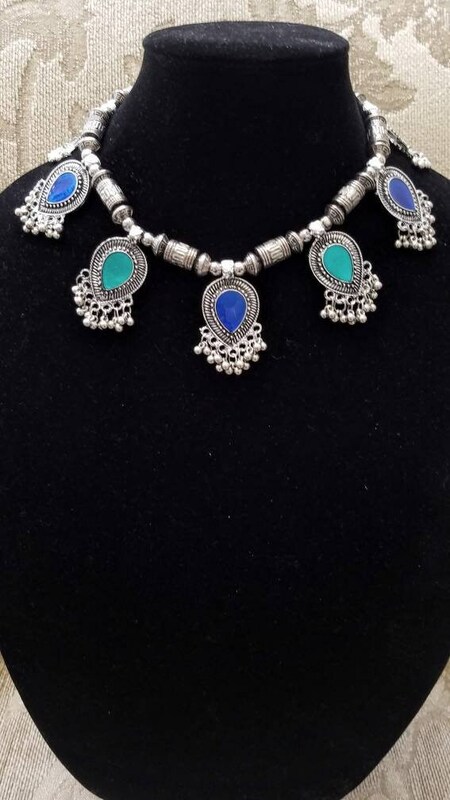 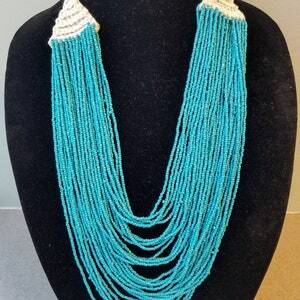 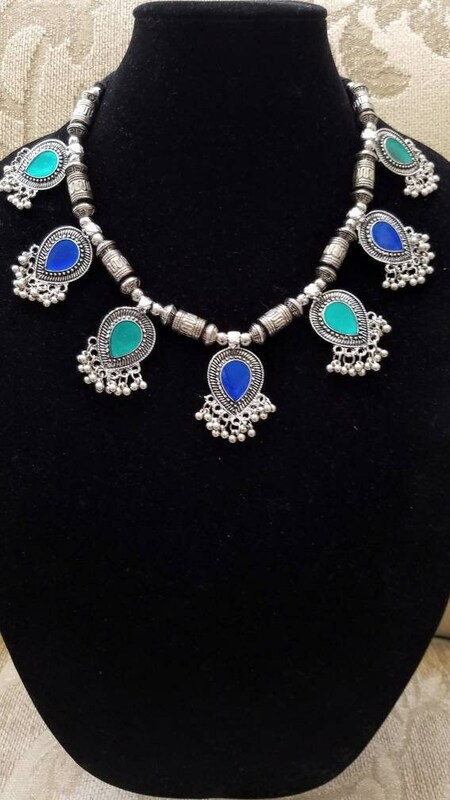 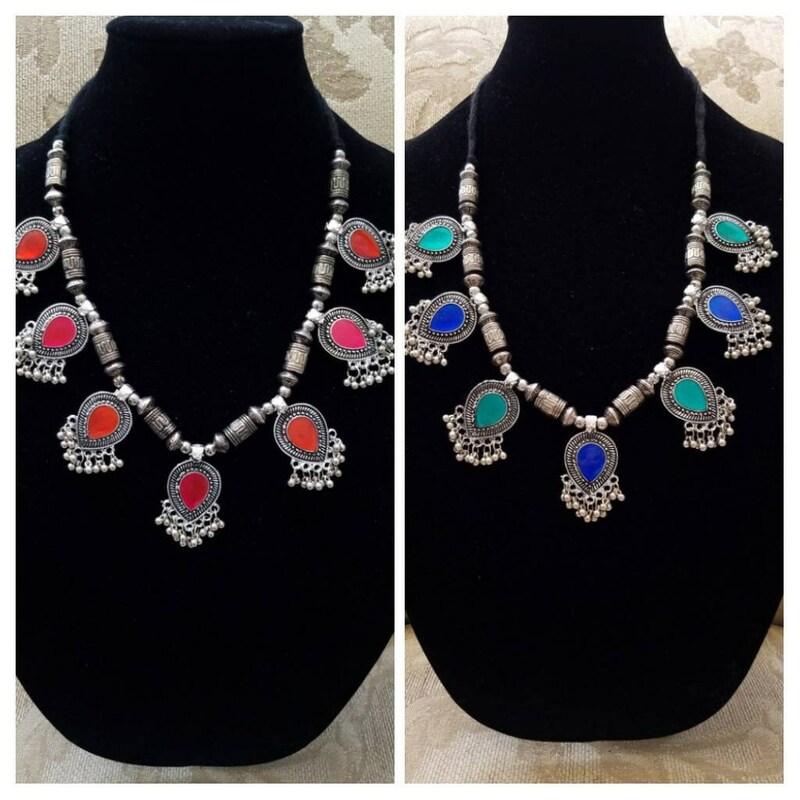 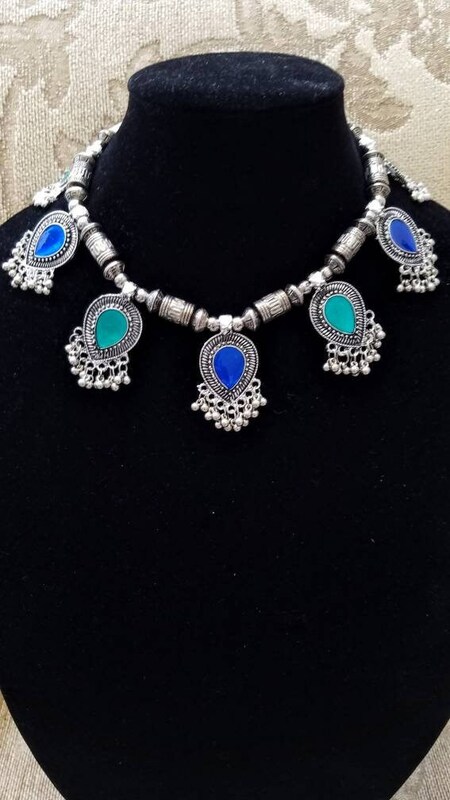 Handmade Afghani necklace in oxidized silver color, so as to create the patina of a vintage piece. 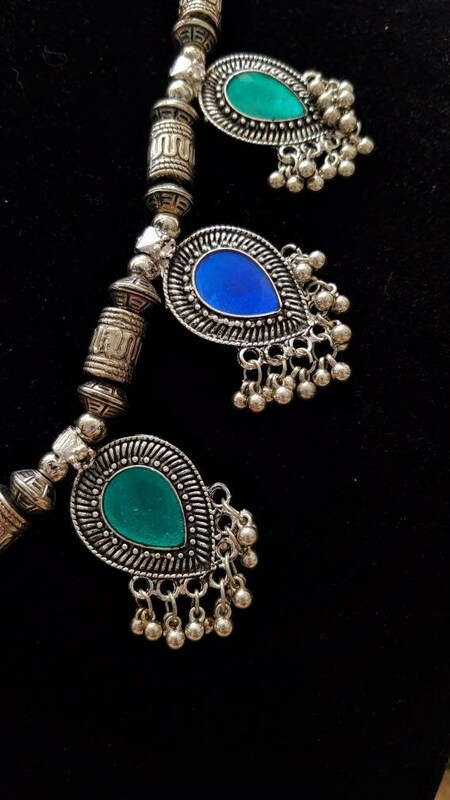 Seven almond shaped pendants in vibrant, jewel like blue and green, alternating colors. 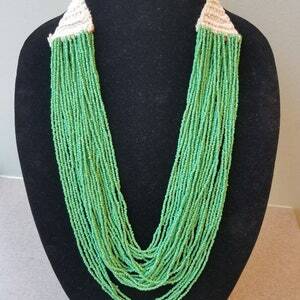 The colors are so fresh and youthful. 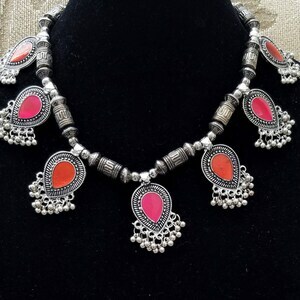 Dangly bells add movement.